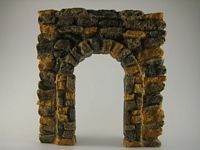 This rock archway was a Christmas gift from my wife. She bought it from one of those temporary Christmas stores that pop-up in the malls during the holidays. 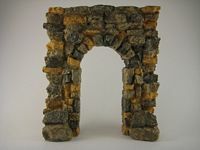 It was made by Roman, Inc. and dated 1997. I’m guessing it was designed to be use as an additional piece in nativity scenes.